12 O'Clock Track / Music 12 O'Clock Track: Sich Mang featuring Benjamin, "(Don't Spill Your Drink) I Got Burberry On"
Together on one track: Chicago psych-juke duo Sich Mang and Benjamin, aka former Windy City Soul Club hype man Ben Pirani in his outrageous R&B crooner alter ego. These three maniacs got together in fall 2011 and cranked out a demo that they promptly shelved. Luckily for you, a copy wound up in my hands, and I've been granted permission to share it—that's right, today's 12 O'Clock Track is a Reader exclusive, at least for now. "(Don't Spill Your Drink) I Got Burberry On" was recorded in October in what I can only imagine was one of the haziest rooms on the planet. 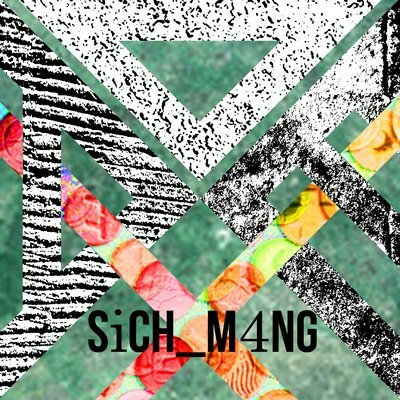 According to Eric Lee Gale, half of Sich Mang, the project was abandoned because it sounded "too hip-hoppy." If it weren't for this blog post, the song would've never seen the light of day, which really is too bad—the collision of these gigantic personalities results in pure musical joy. Beginning with a lighthearted swagger and transforming into a glitchy, trippy blur of samples and what sound like eight-part harmonies, this is essentially an alternate-universe Top 40 version of the Sich Mang that Chicagoans know and love. The demo is rough and unmixed, but still great. If you dig this track, take a look at more of Benjamin's material—some of the most ridiculously fun songs that'll ever grace your ears. Sich Mang plays at Public Works on Fri 5/25 with Andy Ortmann and Johnny Young.